HDFC Bank, now India's most valuable bank, is leaving no stone unturned to embrace new technology and meet the challenges from small banks and payment banks. In the UK, the online-only Atom Bank is set to challenge brick-and-mortar banks. In China, the knives are out as banks and e-commerce players encroach upon each other's territory. Industrial Commercial Bank of China and China Construction Bank are hawking things such as shampoo and wine while Alibaba is expanding its financial services business. In India, dozens of digital wallet companies are expanding into retail payments. There is also the upcoming competition from payment banks and small banks. All this sounds similar to the scene in India a couple of decades ago when HDFC Bank, along with ICICI Bank, stormed the cosy world of government-run banks with better service and technology. While government banks still account for 75 per cent of the industry in terms of deposits and advances, private banks dominate the top five positions in terms of market capitalisation. In the latest BT500 study, HDFC Bank has emerged as the top bank with a market cap of Rs 2,61,465 crore. The figure for State Bank of India, or SBI, whose assets are almost three-and-a-half times that of HDFC Bank, is Rs 2,00,169 crore. One reason for this is that private sector banks score over government banks on most efficiency parameters. HDFC Bank, for instance, has net non-performing assets, or NPAs, of 0.25 per cent, comfortable capital adequacy of 16.8 per cent, cost-to-income ratio of less than 0.44 and return on assets of 2 per cent. SBI is far behind with net NPAs at 2.12 per cent, capital adequacy of 12 per cent, a high cost-to-income ratio of 0.53 and return on assets of just 0.68 per cent. HDFC Bank, in fact, has done better than other private banks too. For example, ICICI Bank's net NPAs are 1.61 per cent while Axis Bank's net NPAs are 0.46 per cent. The return on assets is 1.86 per cent for ICICI Bank and 1.83 per cent for Axis Bank. In terms of capital, all three private players are quite comfortable at over 15 per cent as against the requirement of 9 per cent. 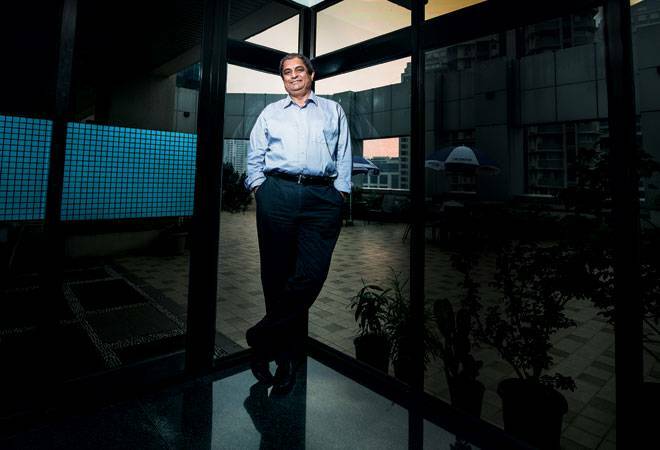 India's second-largest private sector bank by assets (ICICI Bank is the leader), headed by Aditya Puri, a former Citibank executive, has set in motion a strategy to become a full-scale digital bank. Of course, India is years away from something like Atom Bank, which is targeting 18-32 year olds through its app-only model. 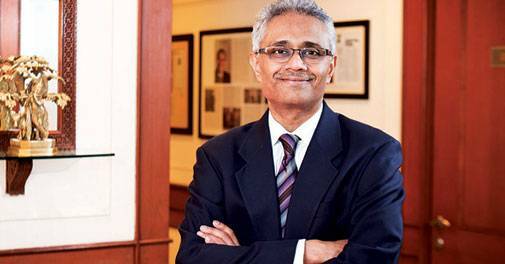 "This is not such a big phenomenon here," says Paresh Sukthankar, Deputy Managing Director of HDFC Bank. For HDFC Bank, the biggest challenges include new payment banks - such as Paytm, Reliance Industries, Tech Mahindra, NSDL and India Post - that are ready to launch operations. These are allowed to accept deposits up to Rs 1 lakh but cannot lend. Interestingly, whereas SBI has entered into an equity partnership with Reliance for a payment bank and Kotak Mahindra Bank has joined hands with Bharti Airtel, HDFC Bank has decided to take on the challenge alone. "Perhaps nobody is sure about how the space will pan out," says Sukthankar. Payment banks could be useful for investors as they would leverage the strength of existing banks and not invest too much on physical infrastructure. Of course, there is a lot of uncertainty about what the future holds. "There is still not much clarity on the revenue model of payment banks. There is certainly a limitation in earning high returns due to lending restrictions," says Saday Sinha, Banking Analyst, Kotak Securities Ltd. But Sukthankar is unfazed and says HDFC Bank's ATM network helps them roll out customised offerings and new features. "As you scale up, transaction costs, say for an ATM, come down," he says. HDFC Bank is also building a digital bank that will offer the whole gamut of services - from account opening to loans - online. The trigger for this is traction in retail payments. E-commerce is another big opportunity for banks. This is because more and more customers are using digital wallets, which are faster and more secure, instead of punching card details every time they transact online. While non-bank players like Paytm are already exploiting the opportunity, banks have been a bit late in joining the bandwagon. In June, HDFC Bank launched its mobile wallet or mobile payment application PayZapp for transactions such as remittances and bill payments. The wallet registers card details once and pulls out money every time you make a payment. While SBI, ICICI Bank and Axis Bank have also launched digital wallets, HDFC Bank has added Smartbuy, a platform for e-commerce play. It is similar to the tools adopted by Chinese banks. The Smartbuy option helps users get the best deals on sites such as Flipkart, Cleartrip and Yatra. "We are facilitating e-commerce transactions," says Sukthankar. The Reserve Bank of India is going all out for deeper penetration of banking services in rural and semi-urban areas. That is why it has granted licences for payment and small finance banks. This is one area where HDFC Bank has perfected its model. "We have a model of one-two persons branches that offer tailor-made products in rural India," says Sukthankar. Other banks have not done that well on this front. At present, the bank's 55 per cent branches are in rural and semi-urban areas. It is targeting 35 per cent revenue from these in the next few years. The current figure is 15 per cent. Many new payment banks are keen to tie up with universal banks and vice versa. Similarly, small finance banks, whose expertise is community banking, will scale up their model with the advantage of low-cost funds (current and savings accounts). This will upset the calculation of the bank. But Sukthankar is optimistic. "We have significantly increased our presence with strong brand visibility. The market is large enough to accommodate new players," he says. Kotak's Sinha predicts enhanced competition for current and savings accounts. Even as the new payment banks and small finance banks take time to scale up, HDFC Bank's investors are watching how it is reacting to new mobile technologies, deploying scalable technologies at the back-end, motivating its large work force, and meeting new customer needs. "They recognise that we have been one of the few banks that have grown consistently without compromising our asset quality and profitability," say Sukthankar. Some analysts say that HDFC Bank has never had it so good. The past, too, was encouraging. And there seems to be a credible digital plan for tomorrow. That's what its investors are also hoping for.